With more than 160 sessions across three days, the recent SharePoint Evolution conference is a clear indication that this is a technology that offers endless possibilities. However, it’s also easy to understand why those who are new to SharePoint can be completely overwhelmed and find it difficult to see the wood from the trees when it comes to applying Microsoft SharePoint in the context of their own business. Developers and experts are prone to an arguably unhealthy fascination with the technical and uncovering subtle nuances that open up new opportunities and functionality. To a degree, their excitement is justifiable. But the world of SharePoint tends to be shrouded in jargon – even more so than other areas of technology. And that’s deeply ironic. What's The Road To Success? You usually decide to implement SharePoint projects to make life for users more straightforward whether they’re about accessing information, managing projects and documentation or ensuring processes run smoothly and efficiently. They should illuminate rather than confuse. Simplify rather than complicate. Control rather than constrain. Many whose departments and colleagues would benefit most from a SharePoint solution are typically the least tech-savvy. However, what they do understand is the tasks and processes required to deliver whatever services they’re responsible for; whether that’s HR, quality management, customer services, health and safety, project management… The list goes on. So, how does this knowledge translate into a brief, a scope, a specification and a successful deployment? That’s where the SharePoint 3 ‘I’s are invaluable: Issues, Imagination, and Improvement. Every department in every business has issues that they need to resolve. It could be a paper-based process that relies on a member of the team who’s never in the office and the frustration created by the resulting bottleneck. It could be trying to work out which, if any, of the multiple versions of a critical document is actually definitive. It could be the struggle with a piece of stand-alone software, only installed on a couple of PCs, that seemed like a good idea at the time. Although no-one can actually remember who was responsible for buying it or where it came from in the first place. Step back from the day-to-day clutter and imagine how your processes would work in an ideal world. More importantly, look at how other successful processes work and apply similar principles. A SharePoint system designed to handle customer complaints probably shares around 99% of its DNA with a system designed to manage non-conformity in the manufacturing environment. In essence, both record an incident and trigger a series of events to rectify any ensuing issues. The data is held in a central location and can be analyzed or reported on automatically. Both systems are likely to be linked with controlled documents or information that guide colleagues in their response to the incident. And there will be countless other scenarios that work in almost exactly the same way. The concept of ‘continuous improvement’ will be familiar in many businesses. And SharePoint should be viewed not as a mysterious technology but as a tool that can support the delivery of improvement. By building an effective knowledge base, customer queries can be resolved more quickly and the resulting experience will see satisfaction ratings increase dramatically. A site maintenance system that logs jobs and automatically allocates appropriate resources will undoubtedly create efficiencies and improve response times. Better still, it could be linked to training records that ensure everyone is up to date with the latest techniques and health and safety requirements. 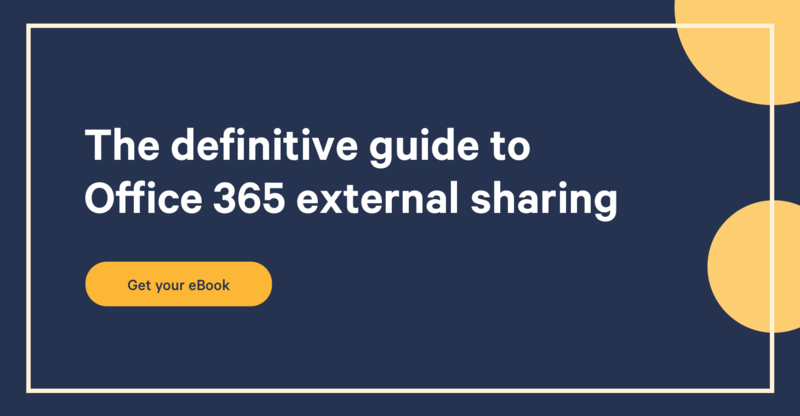 In many instances, you implement SharePoint to replace clunky spreadsheets or over-reliance on email – both valuable tools in their own right but often not right for the job. And email should certainly never be seen as a business process. Other solutions built to manage ISO or other quality systems have replaced paper-based or manual processes. In the worst cases, users have been struggling with unsupported software, fragmented off-the-shelf solutions or even home-made systems that end up costing more than they save – especially when the people who built them in the first place leave the business. Best of all, the solutions described above have all been built using the standard features of Microsoft SharePoint and Nintex Workflows - custom coding should be a last resort. And that’s critical because SharePoint should never lead you down a blind alley and there’s no reason why it ever should. In fact, reducing business risk is often just as important as improving business processes. It’s well supported, fully integrated with familiar email and productivity tools, flexible enough to work with a whole range of ERP and CRM solutions and extremely versatile. It’s also proven across the widest range of industries from professional services and education to manufacturing and construction. Sadly, all too often, it’s misunderstood!